Performing the migration of the SAP (ZSRK) systems environment. Support, maintenance and monitoring of the SAP systems. During the SAP Forum Czech Republic 2016 in Prague, the Polish Court of Appeals in Wrocław / Ministry of Justice have received the SAP Quality Awards 2016 CEE Brony Winner, in the category of "Business Transformation". This is the most prestigious and renowned competition in the world of SAP, with the goal to indicate the implementation projects, which can be the examples to follow. The main provider of the project services was the KBJ S.A. company, the SAP business partner. total of more than forty systems (For development, tests, training i operations). The project has two stages. At the first stage, there was performed the migration. modification of the configuration of the BASIS of all the SAP systems. The next stage of the project consists of the support and technological maintenance of all the applications included in the ZSRK environment, based on the SAP company solutions. support within the "pool" of working days of the Services Provider's Consultants. The main objective of the implemented project is to fulfil the need for unified (and optimized in regard of administration) hardware, system and database environment for the SAP systems (ZSRK), and the ongoing upgrade of the ZSRK environment systems. improvement of the systems performance. 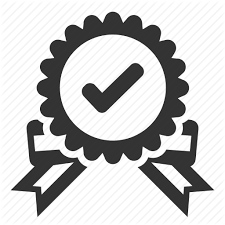 The Commendation for the implemented project in the SAP Quality Awards competition, has become for the Client, as well as for its business environment, a reason for satisfaction but also an assurance, that the project meets the highest standards and complies with the good practices. Migration of over forty SAP systems in seven months. Simultaneous upgrade and unification of the database (DB), system (OS) and the upgrade of configuration of the ZSRK system environments. The project has won the prestigious SAP Quality Awards 2016 CEE Bronze Winner prize, in the Business Transformation Category. Certificate to SAP Quality Awards for the Ministry of Justice, Court of Appeals in Wrocław.